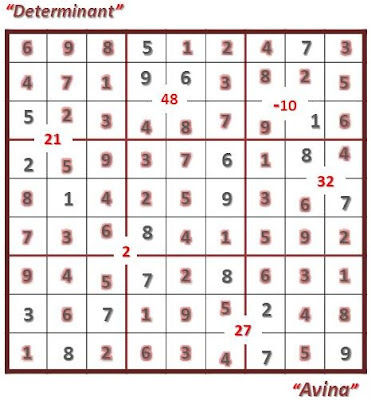 This Puzzle was created by Ritesh Gupta and his brother Hitesh Gupta for Indian Sudoku Mock Tests. 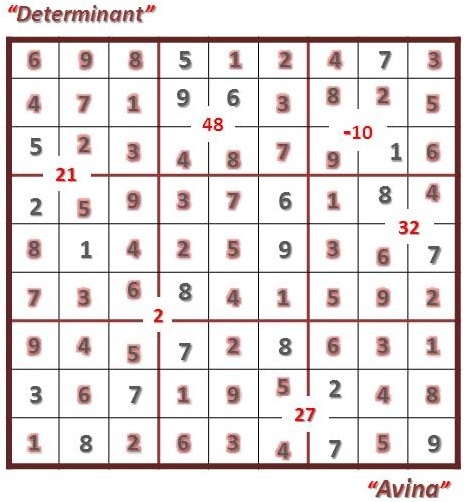 Last few days I have been re-posting puzzles created by Ritesh. Let me introduce Ritesh Gupta. He is 3 times Indian National Sudoku Champion. He finished respectable 20 in World Sudoku Championship in 2009. This is the first time I saw this puzzle type in Indian Sudoku Mock Test, so I assume that this type is created by Ritesh and Hitesh Gupta. Fill in the grid from 1 through 9 so that every row, every column and every outlined region contains distinct digits. If two cells are separated by a white dot, then it means the digits appearing in the 2 cells are neither consecutive digits nor digit in a cell is half of digit in the neighboring cell. The cells which does not contain a dot represents that the 2 neighboring cells must be having either of the two relationships.